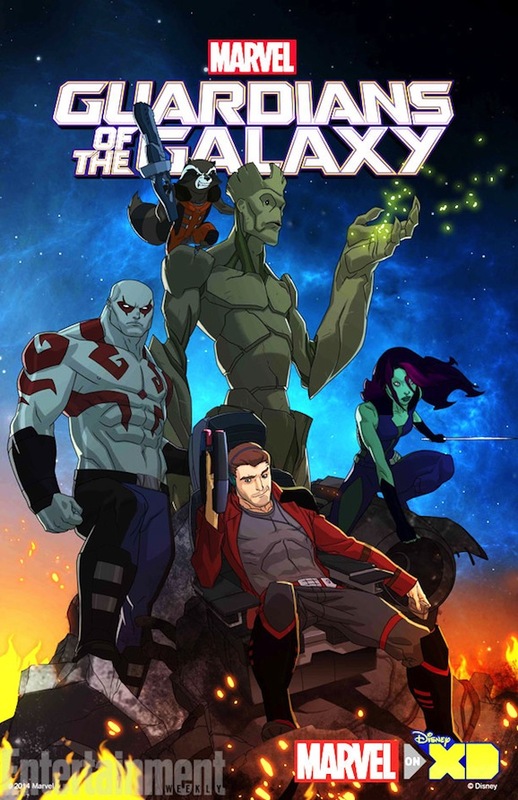 Remember coming out of San Diego Comic-Con, before we even got to lay eyes on the movie, and we were all fairly certain that Marvel announced a Guardians of the Galaxy animated series? Then a little bit later someone came out and said, “We said no such thing,” and crushed that particular dream? Well, apparently that was just a stalling tactic, as there is actually a Guardians cartoon on the way, with the artwork, footage, and official statements to prove it. Marvel’s head of television, Jeph Loeb (also an excellent writer of comic books in his own right), made the announcement at New York Comic Con, saying that they’ve started production on their latest animated venture. The series will air on Disney XD, and follow and incarnation of the crew that looks suspiciously just like the one from the movies. You’ll get to hang out with Star-Lord, Gamora, Drax the Destroyer, and of course, Rocket Raccoon and Groot. An animated series of this sort may be a perfect vehicle for this ridiculous assortment of space weirdoes. And I have to say, more cartoons aimed at kids need to be fronted by a thief, a notorious assassin, and a heavily armed anthropomorphic raccoon with anger issues. It’s just the sort of twisted, borderline inappropriate content that that figure into all the very best kid’s programming. And here’s the first look at the key art from the series, which shows the team in a moment of down time, just hanging out and kicking back. Guardians of the Galaxy is still in the midst of taking over the worldwide box office. It’s still not going to catch Transformers: Age of Extinction’s billion-dollar-plus take, but it’s practically pitched a tent and camped out in the domestic top ten, and more than $650 million globally is nothing to sneeze at. Especially when the two biggest stars in the movie play an angry raccoon and an alien tree that only says three words. 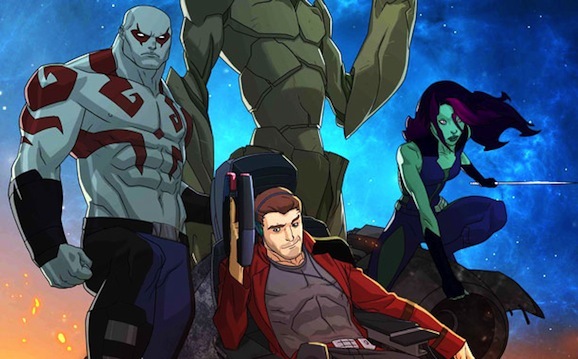 Guardians of the Galaxy will air sometime next year as part of a block of Marvel Universe animation.